Commander Vimes of the Ankh-Morpork City Guard is determined to stop an unauthorized assassin who jauntily leaves behind corpses and strange-smelling tracks of curious white clay. And he has hired a Dwarf to help him. 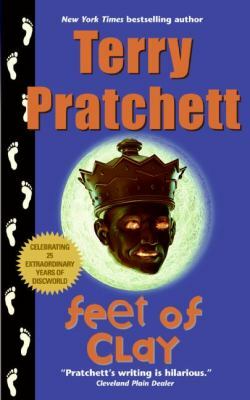 With the assistance of Corporal Cheery Littlebottom, Vimes and his men can get to the, well, bottom of anything. Even when the investigation leads to an out-of-work "golem", a vampire dragon, and a vegetarian werewolf.